Despite a troubled macroeconomic and political environment, Madagascar possesses a fairly diversified, dynamic economic fabric in comparison to other countries with a similar level of development. This national particularity undoubtedly explains the country’s thriving social business sector. 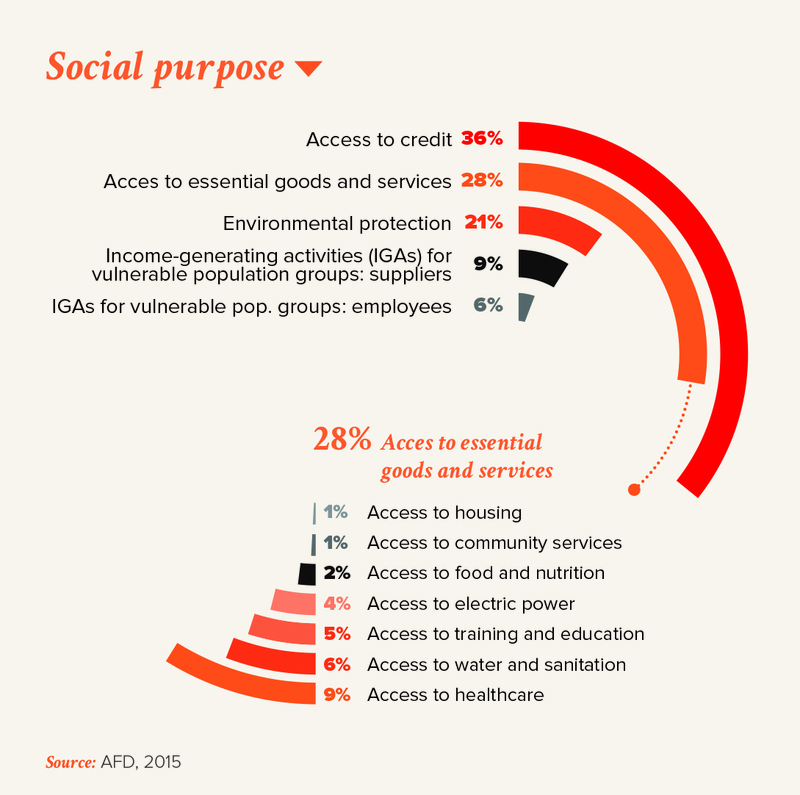 A study undertaken by AFD1 lists close to 90 projects2 that meet the broad definition of a social business, i.e., organisations (of all types) whose priority is to address a social problem and who aim to be financially self-sustainable3. 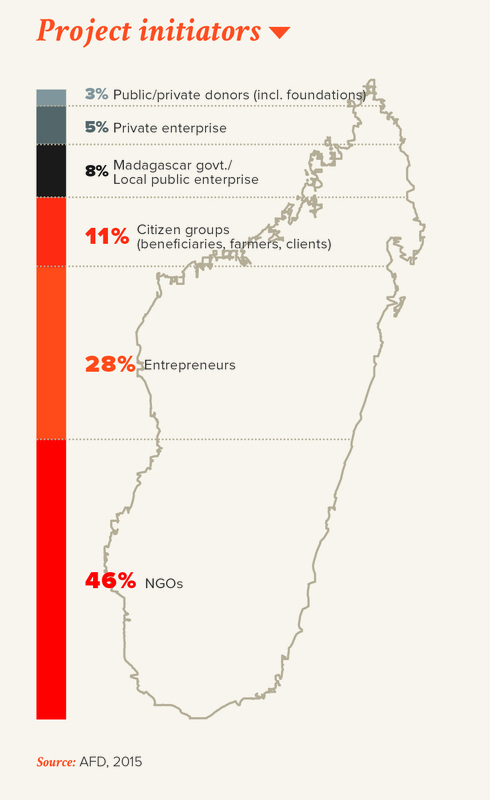 What is the key driver of social business in Madagascar? In a country with over two thirds of the population living in poverty and with little in the way of essential government services (due to serial political crises), non-state actors attempt to come up with alternatives in the hope of offering the population better living conditions. We are referring here to organisations that are part of civil society – not only NGOs, but social business projects as well, which have a long history in Madagascar. Many of these existed before Muhammad Yunus coined the term “social business”. The projects covered are on average 10 years old and over a third have existed for more than 15 years. Nearly half of all such projects (46%) were initiated by NGOs that wished to generate their own revenue to finance their development rather than being entirely dependent on public funding. 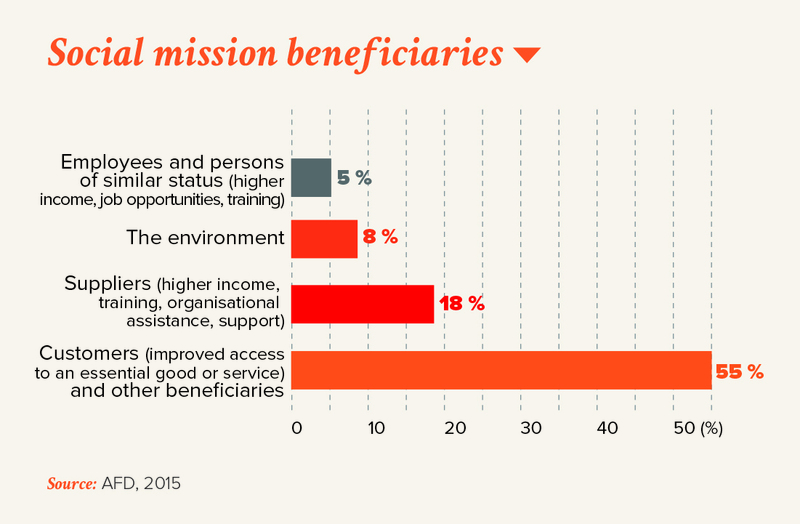 What are the key feactures of social business projects in Madagascar? – in terms of the social problems addressed (i.e., job opportunities, making essential products and services accessible to the poorest, assistance in organising production chains, environmental protection, etc. 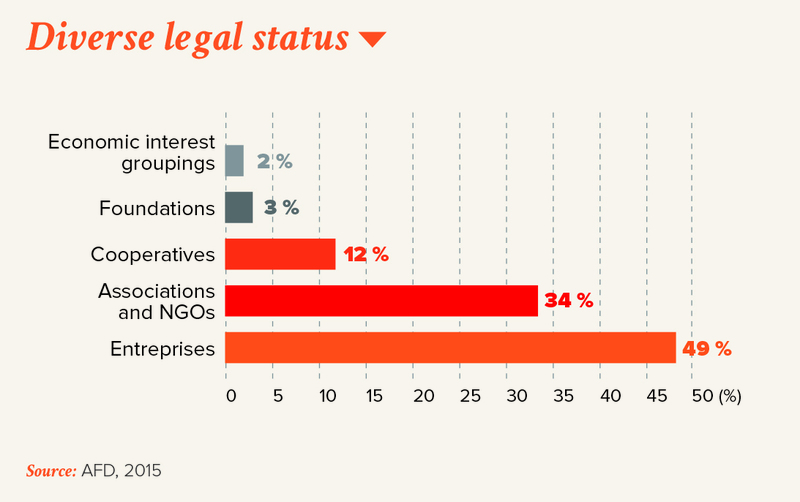 ), the sectors involved (although microfinance still funds nearly one-third of all projects), the initiators’ legal status (companies, associations, NGOs, cooperatives and in some cases hybrid approaches) and their targets (customers, employees, suppliers and other stakeholders, the envi- ronment). This highlights the cross-cutting nature of social business and the opportunities for adapting its business model to a wide variety of settings. A majority of the projects has an innovative nature. traditionally addressed by government policy and by targeting poor or disadvantaged social groups. However, it is extremely hard to line up financing for innovation, particularly in social matters, when the new idea has not been tested (given that the innovator can hardly guarantee that the project will go according to plan). In addition, a new product or service may have trouble pinpointing the correct market positioning strategy; it may find itself in competition with an existing commercial product or service or with offerings provided free of charge by charitable institutions. A common result of this early-stage financing problem – mentioned by all of the project owners surveyed – is that the project maturation process can be excee- dingly long (in some cases up to 10 years). Obtaining funding for an innovative business model with no clear prospects of turning a profit is therefore the primary hurdle facing social businesses, in Madagascar and elsewhere. 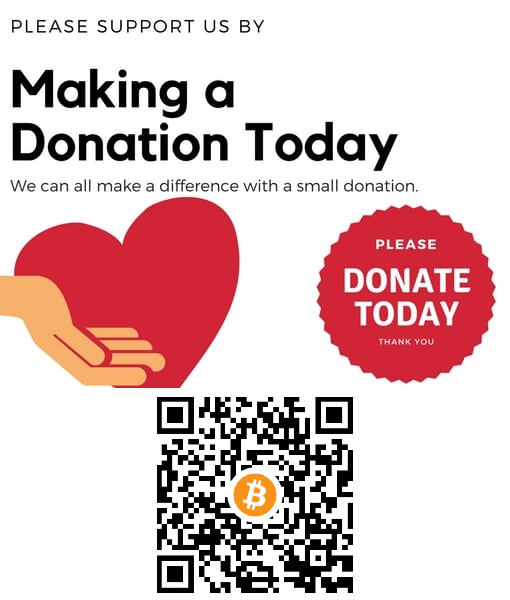 A further observation is that a majority of the projects underwent a change of legal status over the course of their existence, although it should be noted that there is no equivalent to a social enterprise under the laws of Madagascar. Many projects start out with some kind of non-profit status (as NGOs, associations or cooperatives), but as their commercial activities develop over time, they become companies for regulatory and tax purposes. Company status, however, may not be ideal for projects still struggling to ensure that their social mission will be fulfilled, and each project has to come up with its own “fix”: a company may have a charity as its majority shareholder, shareholders’ agreements may be signed or an ethics oversight committee set up, etc. A mismatch between activity and status can generate tax and regulatory issues that may jeopardise a project’s future. It is better to focus in the initial phase on a single social objective (and a single target group) to avoid potential conflicting agendas that might require trade-offs. Once the project has broken even, its social scope can always be broadened. The market positioning of the new product or service should be carefully planned in relation to those of potential compe- titors and the work of charities (based for example on serious market research conducted prior to project launch). It is essential to make sure that the project’s legal status matches its activity and that the Articles of association reflect its social purpose (through legal engineering). Early-stage social businesses have to contend with funding difficulties similar to those encountered by innovative start-ups, but with the additional handicap of not being able to promise high returns any time soon. This precludes financing from most conventional private sources. In many instances, incubator-style services would appear appropriate but financing them remains a major challenge in most developing countries. Financing instruments and support programmes should the- refore be tailored both to the type of sector and legal status involved and to the nature of the project initiator. An NGO will most likely require business and managerial assistance whereas an entrepreneur will be more in need of help in advancing its stated social agenda. 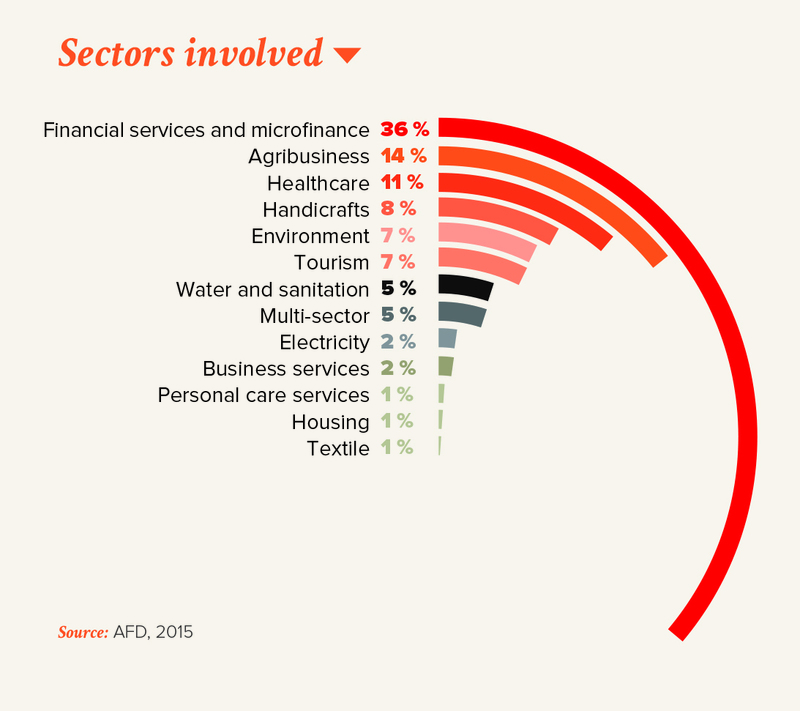 1 Étude sur l’entreprenariat social à Madagascar, AFD Technical Reports, 2015. 2 In this paper, we use the term “social business projects”, because many of the ventures discussed do not (as yet) have formal company status. 3 Legal status was not considered a discriminating factor in this study, as it soon became apparent that organisations with a variety of statuses may contribute to a single social business project.